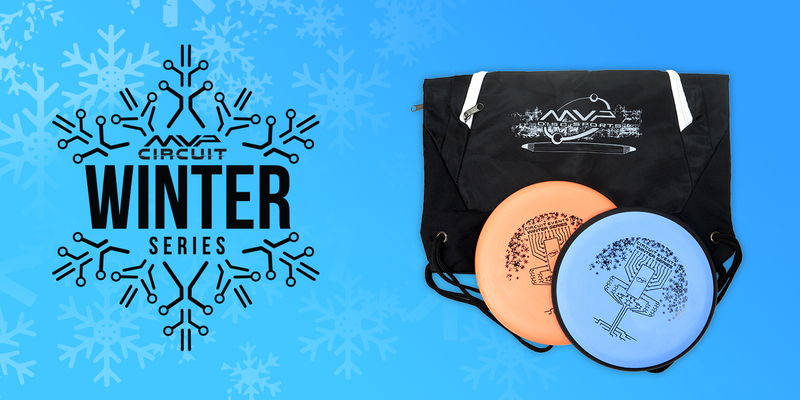 For a great players pack with exclusive disc runs, make your winter event an MVP Winter Series! The MVP Winter series features a previously unreleased Electron Firm Pilot from Streamline Discs and the classic MVP Electron Spin. 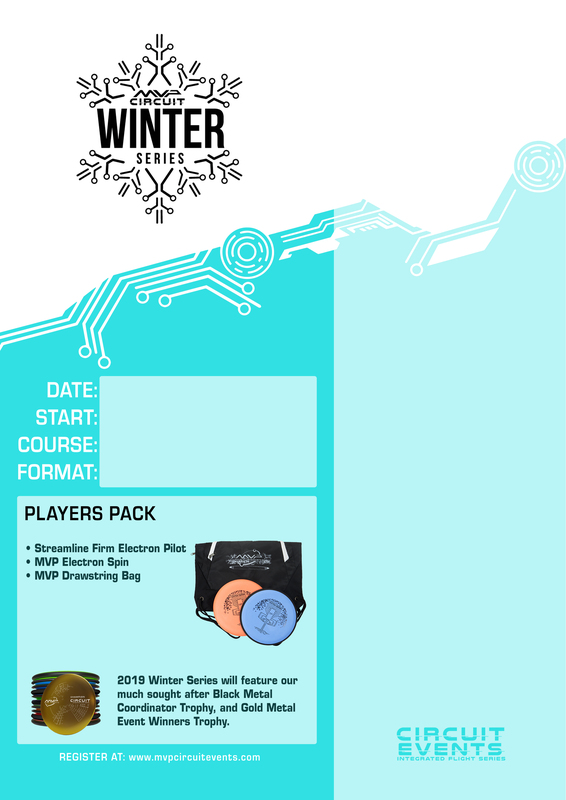 The Winter Series is available to be run February 2nd through April 28th, 2019. Recommended entry fee for a Winter Series event is $26. Standard Prize Pack items (to be divided by the Event Director) include an option of: MVP plastic (10 Circuit discs assortment), two Nucleus Tournament Bags, or a Black Hole® Pro Basket. Prizes may be given for the winners of the round, as well as winners of Putter Olympics and the Driver Showcase. 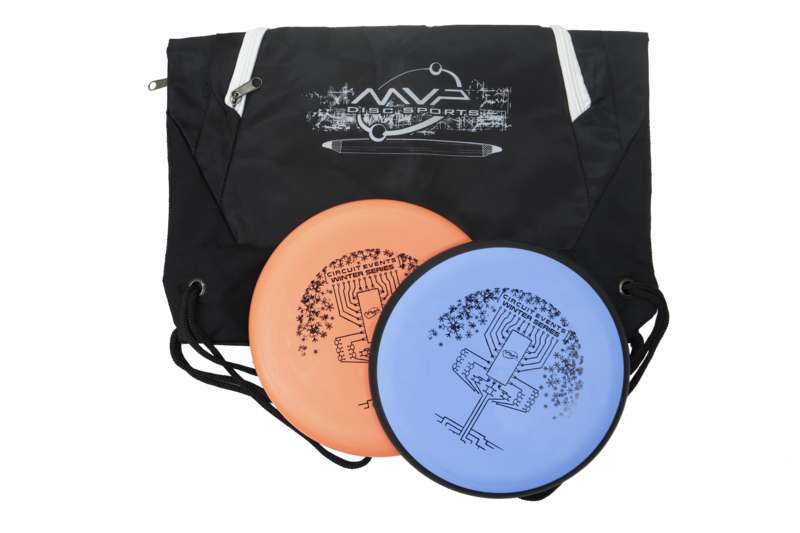 2019 Circuit-stamped plastic is available exclusively to Circuit Event Directors with their event order. If there are items here that you want, tell your Event Director more than 1 week in advance of the event so they can order. Event Directors may also purchase additional Player’s Pack discs, so let them know what you want!